Base Lab Tools water/liquid cooled optical breadboards bring a higher quality, more practical approach to cooling and heating components on optical breadboards. Rather than using leak prone methods of gluing multiple plates together, our aluminum breadboards use a continuous copper tube to control the flow of liquid. 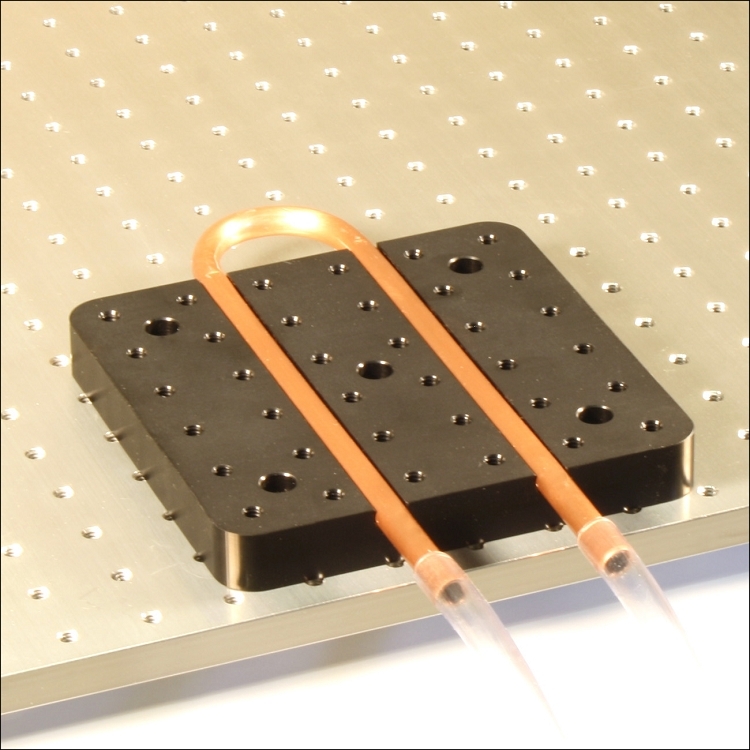 More cost effective solution for cooling optical components. Continuous copper tubing eliminates leaks and uses off the shelf fittings. Double counterbored mounting holes allow unique configurations increasing the number of suitable applications. Easily services in the field.